Every day, a number of ecommerce sites open, adding to the already numerous that have been around for varying amounts of time. The well-established sites with dedicated customer bases and the newest companies emerging every hour all have one thing in common – no matter what it is they are selling and how they go about doing it. Everyone in the ecommerce space is looking to stand out. That does means selling products people love, but also enhancing the experience of shopping on your website. Below we will explain a few methods to make your ecommerce store pop and sizzle. Even if you do not have a lot of experience in graphic design, the changes you can make today to your site can be quick and incredibly effective. The first, and arguably most important, change you can make is to simplify operations for your customers. If you show your site to someone who has never visited it before, they should be able to search for an item, browse inventory, and make a purchase without any hiccups. Because shopping online has become so popular over the past decade, it should be intuitive for every user. What seems like easy shopping to you might feel clunky to other users. One of the easiest ways to make things easy for your customers is to put a clear and easily visible search bar right on the top of each screen. Given the ecommerce world’s emphasis on smooth transactions, the customer’s ability to search for their desired item, whether it be by direct product name or keyword. This should be the first and quickest change you should make if already not doing so. A search bar may exist on your site now, but is it visible and at the top of every page? You never know if something on one product’s page might influence a user to search for something else, and in the ecommerce world, easy access is everything. Another easy way to make your ecommerce website stand out in the crowd is to utilise a colour palette that matches the products that you sell. By using a certain tone and range of colours, you can help match the shopping experience to the emotion behind your products. For example, cool neutral tones can work very well with home decor to match the colours you might find in a furniture gallery or home goods store. Likewise, purchasing books on your ecommerce website should feel like you are recreating the experience of a bookstore, so bold and exciting shades for background colours and graphics should help to increase the enjoyment of shoppers visiting your site. If you are using premium web templates from Shopify an ecommerce platform provider, updating design and colour palates is rather easy. This is especially helpful for sellers who aren’t adept at graphic design. In many ways, standing out in the ecommerce world is simply making customers feel comfortable. Shopping from your ecommerce website should be an enjoyable experience; and things like colour palettes and easy navigation matter. But so does removing distractions. Occasionally, ecommerce sellers choose to place third-party advertisements on their sites to earn extra money. This idea seems reasonable, but it does more to distract and frustrate your customers. Don’t let ads sink your sales. 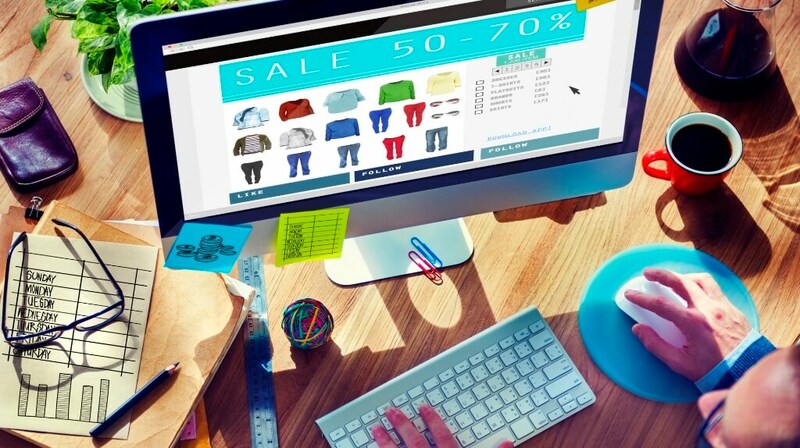 Stick with a clean web design that drives shoppers to buy. In that same vein, leave a clear path the checkout. In an ideal world, your checkout process should be easy as pie. Do your best to avoid multiple pages and redirects, remove unnecessary entry boxes, consider cutting coupon code box and anything else that might slow down conversions. Ecommerce is growing and will continue to do so every day. Don’t lose your e-store in the crowd. Follow the above tips to keep your ecommerce store popular with consumers.